Provost Bob Jones (left), Heather and Glenn Hilliard, Patrick McMillan and George Askew, dean of the College of Agriculture, Forestry and Life Sciences, at the professorship presentation. Professor and naturalist Patrick McMillan, co-creator and host of the Emmy-award winning ETV nature program “Expeditions with Patrick McMillan,” has been named the recipient of the Glenn ’65 and Heather Hilliard Endowed Professorship in Environmental Sustainability. The Hilliards have given $1 million to establish an endowment at Clemson for a professor to teach and motivate future generations to both treasure and manage the balance between the natural and human-made worlds. The gift qualified Clemson for a dollar-for-dollar match from the state under the SmartState program, creating a $2 million professorship. “Both Heather and I are thrilled Patrick was selected,” said Glenn Hilliard, a noted business leader, environmentalist, arts patron and education advocate. “The purpose of this professorship is to foster the identification and preservation of natural environments in the state of South Carolina and to identify and support sustainable development and economic growth for our state in places other than in or around our irreplaceable natural environments. “Heather and I love South Carolina and its natural heritage, and we want our state to be a wonderful place to live, play and work for generations to come.” Director of the South Carolina Botanical Garden, McMillian has worked as a naturalist, biologist and educator. He is a professional naturalist and faculty member in the forestry and environmental conservation department. “I am extremely humbled and honored to be the recipient of the Hilliard Professorship,” McMillan said. “This gift will greatly advance and embolden our efforts to advance the preservation of the natural and cultural resources that make South Carolina the state that we all love and enjoy. 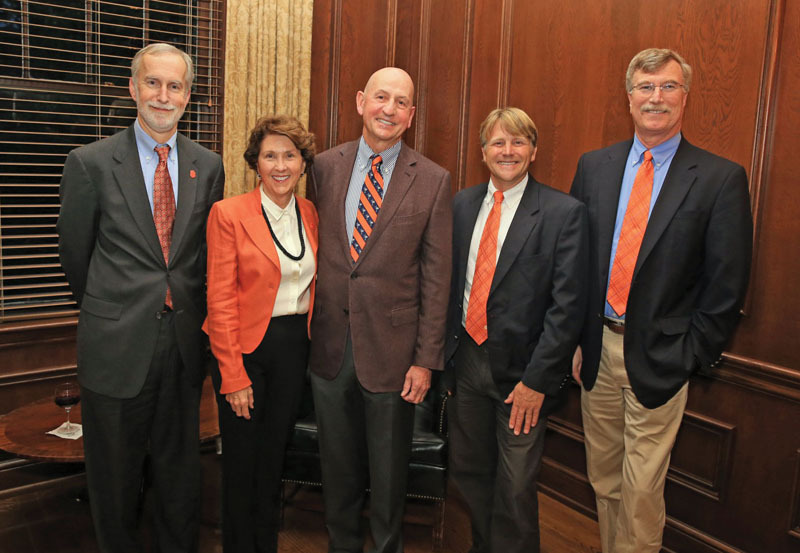 This is a gift that will benefit the economic and environmental integrity of South Carolina for generations.” The Hilliard gift is part of the Will to Lead for Clemson campaign to support faculty and students with scholarships, professorships, facilities and technology.